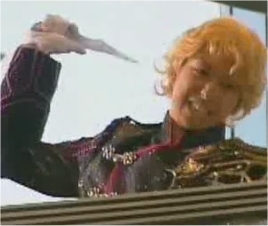 This is Jadeite's weapon of choice. Though most often seen wielding just one, he has occasionally fought with a pair of these daggers, one in each hand. While typically used simply in hand-to-hand combat, he has also been known to throw them at enemies. 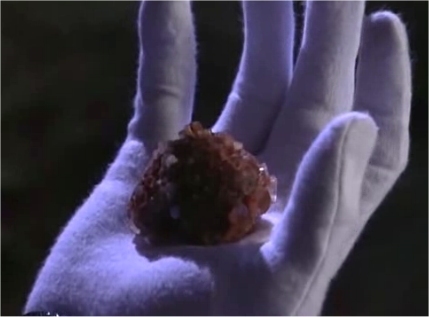 Jadeite uses this stone to create a youma to drain human energy. The stone is absorbed into a statue of a dog and a person, and the energy inside of it creates a clay-youma and a companion clay-youma dog. The youma attacks Ami's sensei at the Alto Seminar, taking over her body to drain the students of energy during lecture. Eventually, both youma and youma dog are destroyed by Sailor Moon and Sailor Mercury respectively. 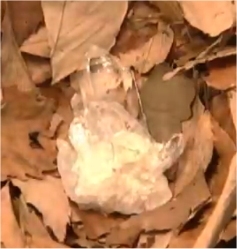 This item appears at the very end of Act 2, as Jadeite hides it in a pile of leaves near Hikawa Jinga. The leaves create a youma with propellers on it that kidnaps girls and traps them in another dimension to drain them of energy. Eventually, Sailor Moon and Sailor Mars destroy this youma.